The NHL Fan Fair at the San Jose Convention Center for NHL All-Star weekend runs through Sunday. Bob Redell reports. The National Hockey League has brought mascots, interactive games and the Stanley Cup to San Jose this week to celebrate All-Star Weekend. San Jose McEnery Convention Center, SAP Center and downtown is featuring this year's NHL Fan Fair, with 175,000 square feet of activities, a Hockey Hall of Fame exhibit and player meet-and-greets. Fifteen Western Conference mascots will also face off with fifteen Eastern Conference mascots, with San Jose Sharks' SJ Sharkie, the Philadelphia Flyers' Gritty and several others participating. 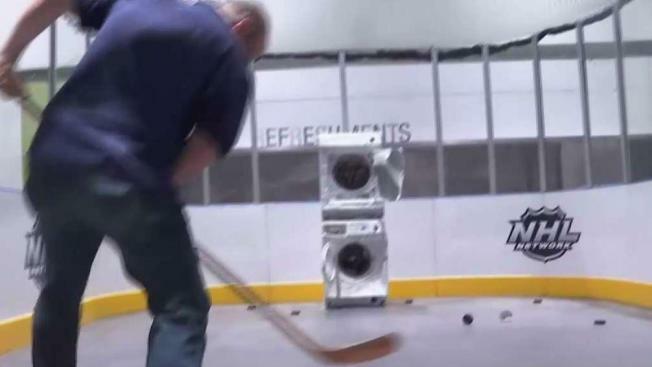 Activities for fans include target practice at the SAP NHL All-Star Skills Zone, a NHL All-Star Trading Card & Memorabilia Show, meet and greet NHL past and present legends and sign autographs. 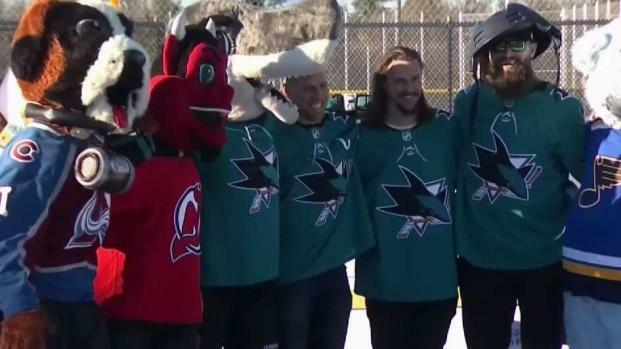 A renovated outdoor roller hockey rink was unveiled Thursday in San Jose ahead of the 2019 National Hockey League All-Star Weekend in the city, NHL officials said. Colin Resch reports. You can also get a closer look at the Stanley Cup. All-Star Weekend will last from Thursday through Sunday and tickets for the NHL Honda All-Star game Saturday at 5 p.m. range from $179 to $650. Tickets for the fair begin at $15, with events from 5 p.m. to 10 p.m. on Thursday and Friday and 10 a.m. to 5 p.m. and 4 p.m. on Saturday and Sunday. Furloughed federal executive branch employees can receive free tickets with their government ID. Two thousand complimentary admission tickets will be made available on each day, according to organizers.